All of our prices are fixed and include x-rays - the price you see is the price you pay. All of our prices are inclusive and you will not be charged for x-rays or other in-house diagnostic procedures. Prices in the members column are available to all patients signing up for our monthly payment plan. For further details, please click here. For short term cancellations within 24 hours of scheduled appointments, a fee may be charged. Click here to see our terms of service for details. 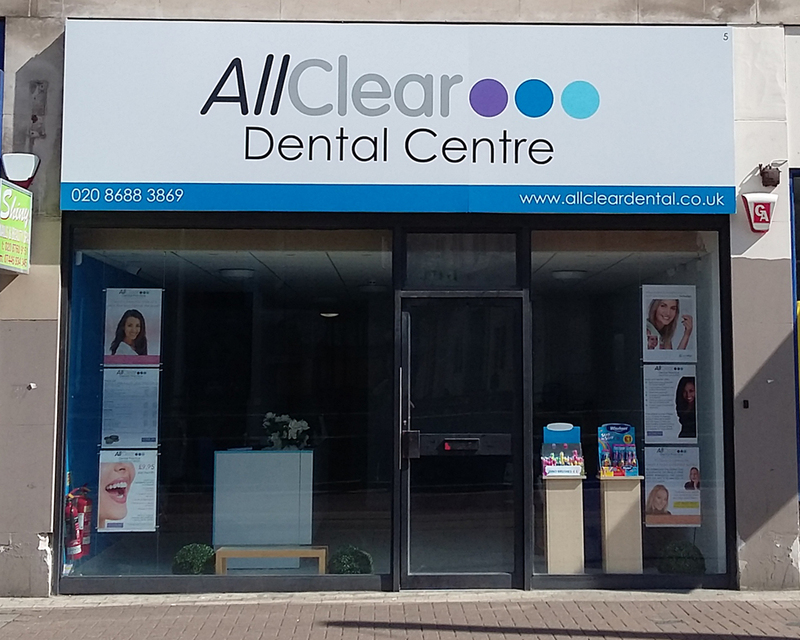 When you register at AllClear, we will ask you to pay for your first examination at the time of booking. For other treatments it is our policy to request a deposit. All of our deposits are refundable if you cancel or change the appointment provided you tell us no later than 48 hours before the scheduled start time of the appointment (24 hours if the appointment is for one hour or less). Click here for full details of our cancellation and deposit policy. Prices are valid from 8 April 2019 and may change without notice (errors & omissions excepted). * Our membership schemes include two check ups and two 30 minute hygienist sessions per year for each adult member (four hygienist sessions per year in our hygiene plan). The price shown is for additional sessions. ‡ Family plan members receive two check ups per year for up to 3 children aged 15 & under. Price shown is for additional examinations. # Please note that, if you see the hygienist without seeing a dentist first (this is known as direct access and has been allowed since 1 May 2013), you will pay the full 30 minute fee even if you only require a simple clean. This is because the hygienist requires extra time to review your gum condition and ensure that the treatment provided is suitable for your circumstances. These fees will be charged if you either do not attend your appointment or do not give sufficient notice of cancellation. For further details, click here. # The inclusive examination and members prices apply to children aged 0-15 whose parents are members of one of our plans. Children of members aged 16-18 will receive two inclusive examinations per year; other treatment will be charged at adult rates less the plan discount. Examinations in excess of the two per year included in the plan will be charged at the normal rate applicable to the age of the child, less the plan discount. # Top up kits can only be provided where the original whitening treatment was undertaken at AllClear and the original whitening trays have been retained by the patient and are available for use. For further details, please click here. Note - treatments marked '+' are not available on a stand alone basis and the price must be added to the main treatment immediately above. Premium. This range gives superior aesthetics and quality allowing extra treatment time and using premium materials that offer the closest possible match to real teeth. You are welcome to select different treatments from different ranges and you will not be ‘locked’ into one range for all of your treatment – the choice is yours. Check ups and certain other treatments cannot be ‘banded’ and have standard prices regardless of the range selected for other treatment. Our staff will be pleased to explain the differences to you and, if you need more advice on the relative suitability of the different treatment options to your particular case, then you should speak directly to your dentist.